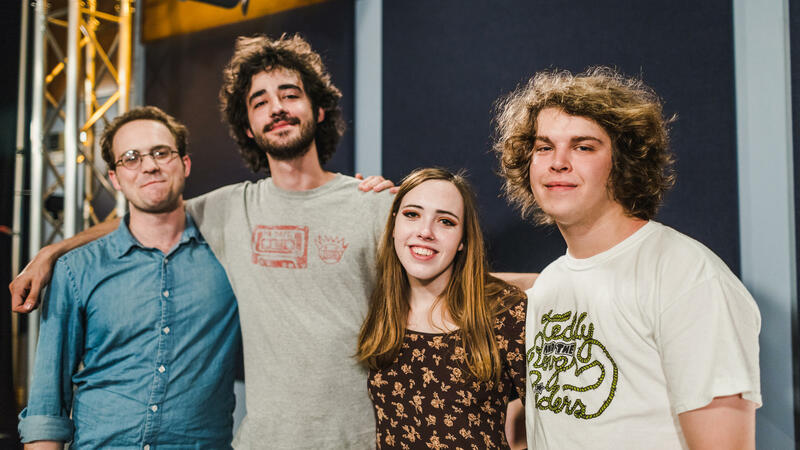 Soccer Mommy inside the World Cafe Performance Studio. Here's a hypothetical: Would you drop out of a prestigious school to pursue a music career? What if there was a huge buzz around your high school bedroom recordings — lush atmospheric pop with some of the most incisive lyrics about love and loss — that you never expected anyone to hear, but when people did hear it, they loved it?